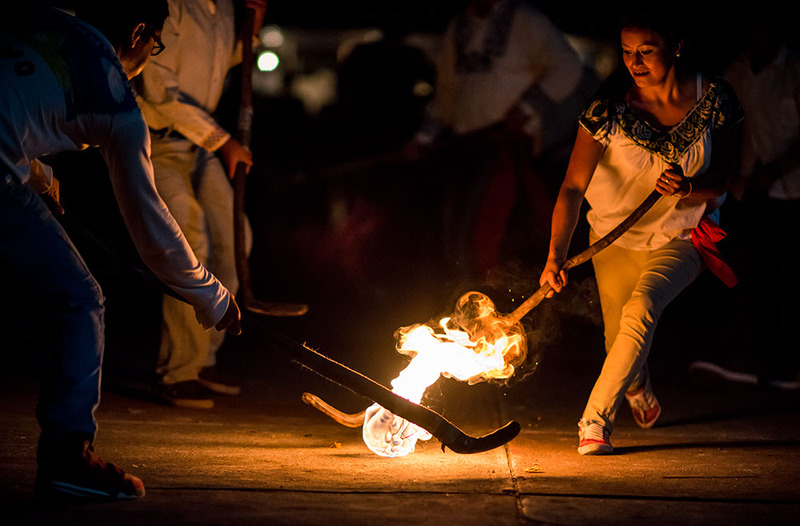 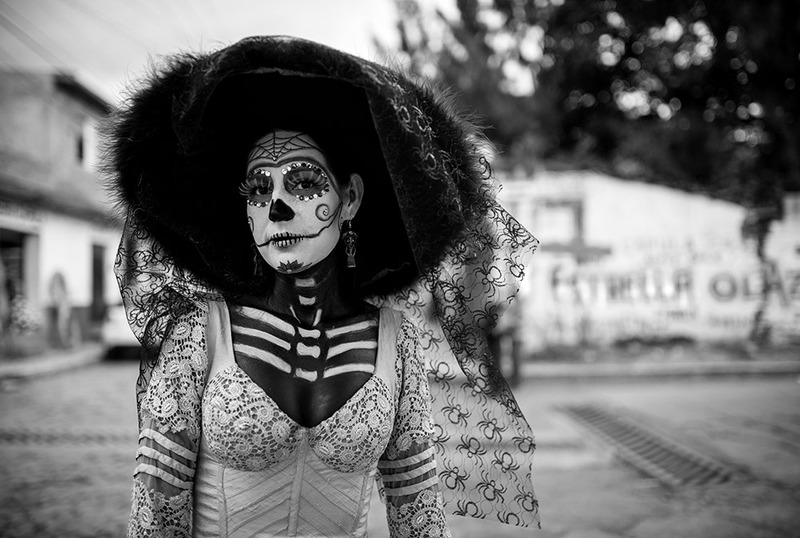 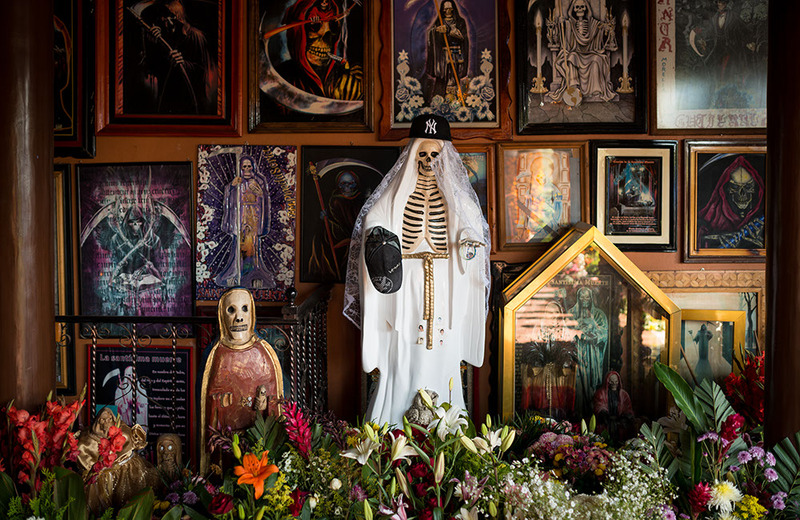 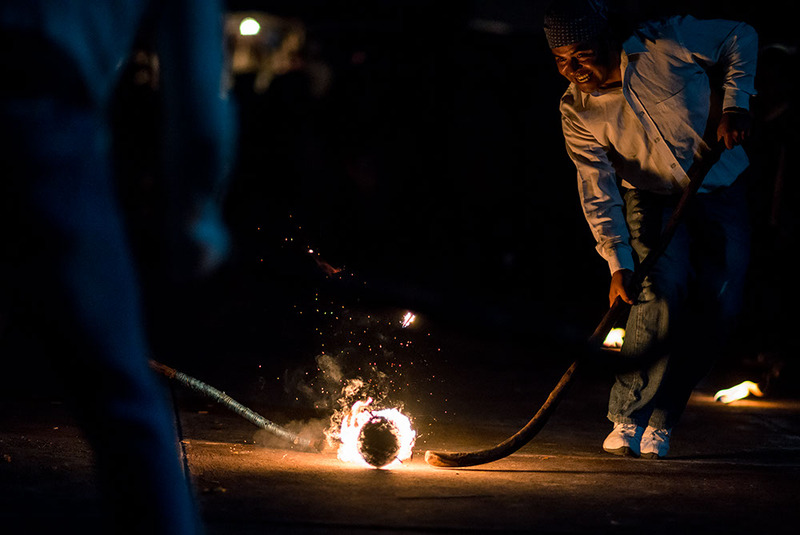 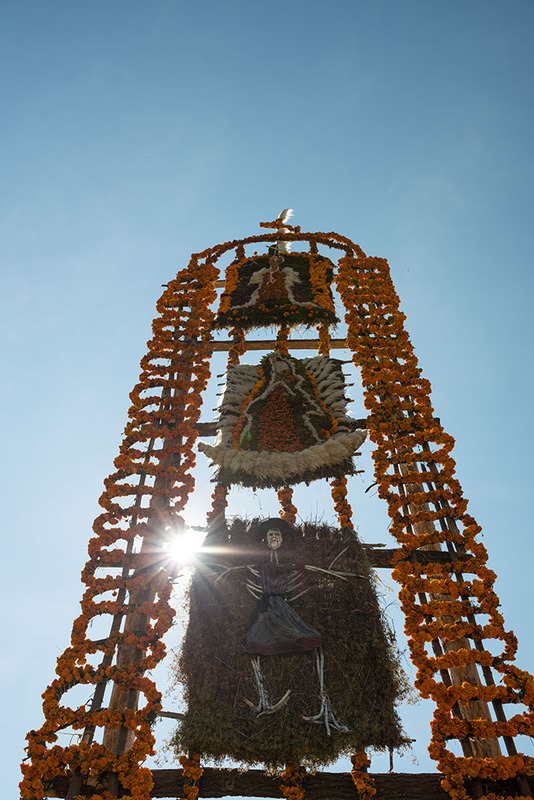 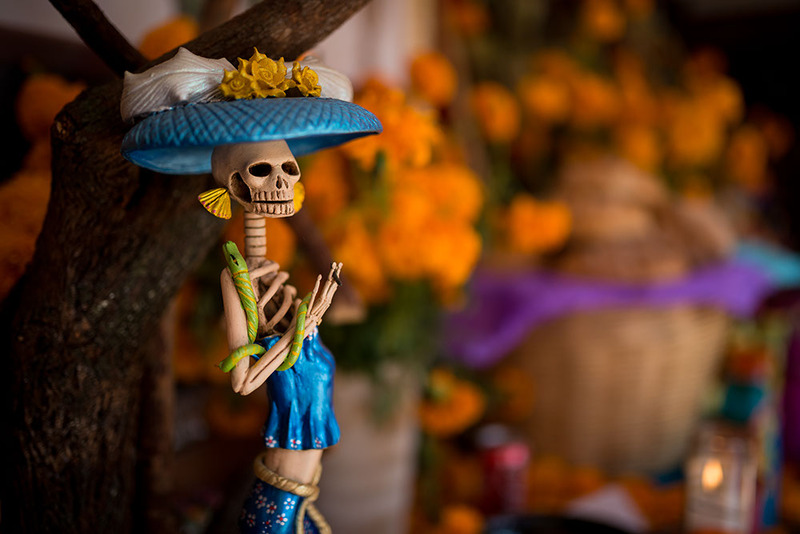 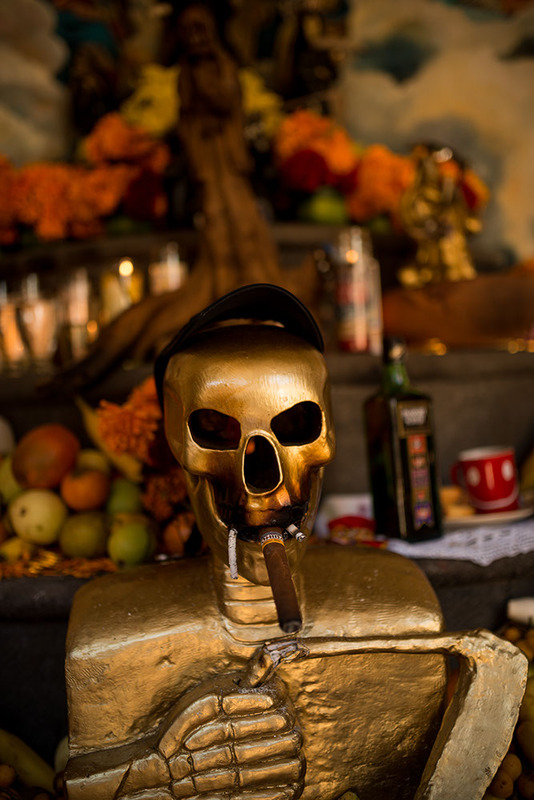 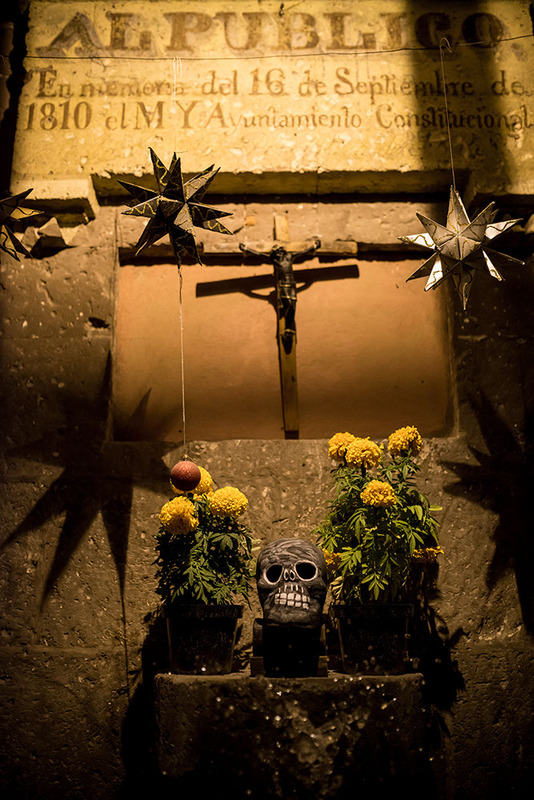 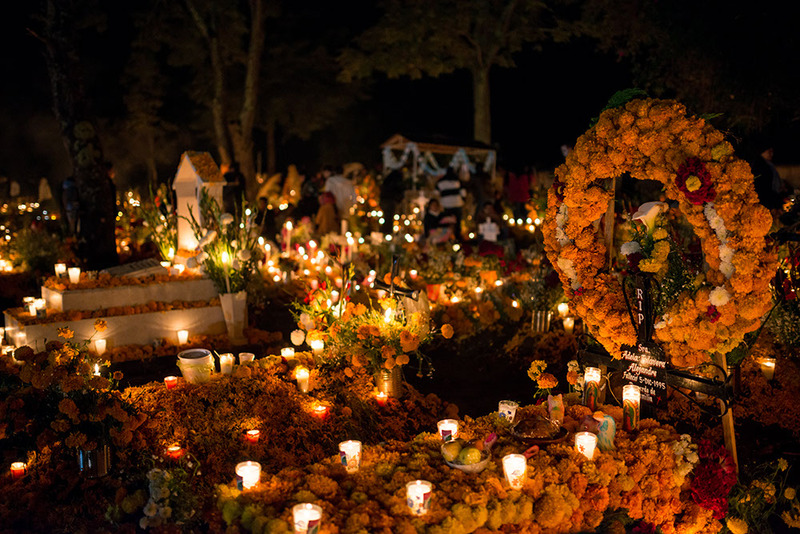 This time two year ago I was in the Michoacán province of Mexico, photographing the details and ceremonies of the Day of the Dead festivities. 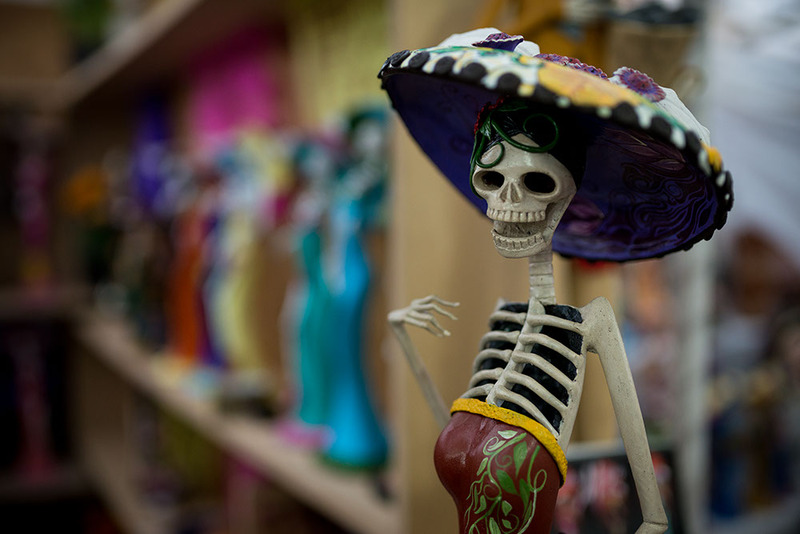 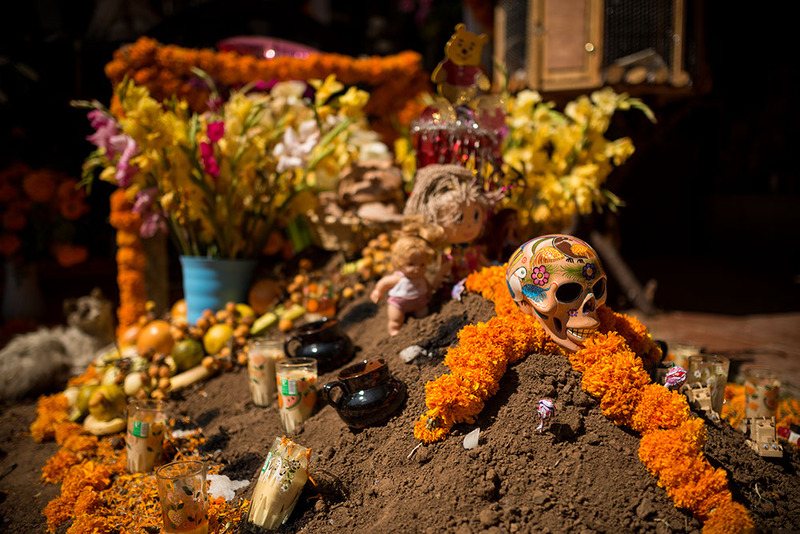 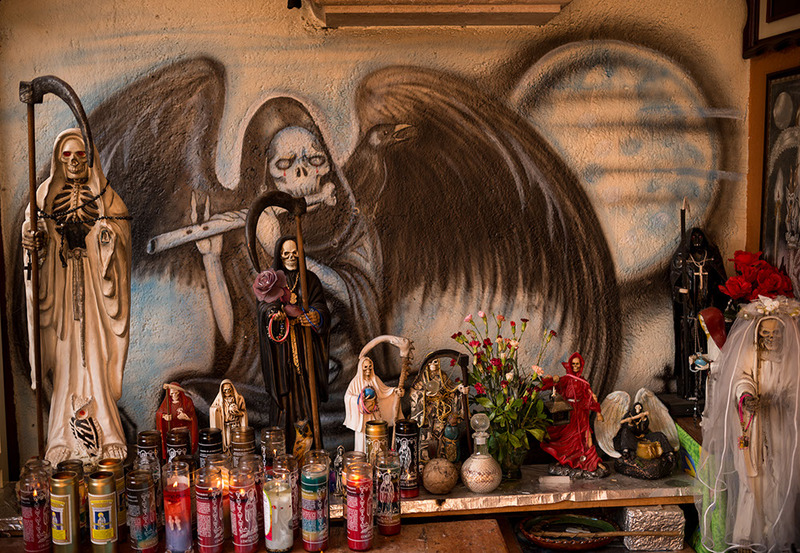 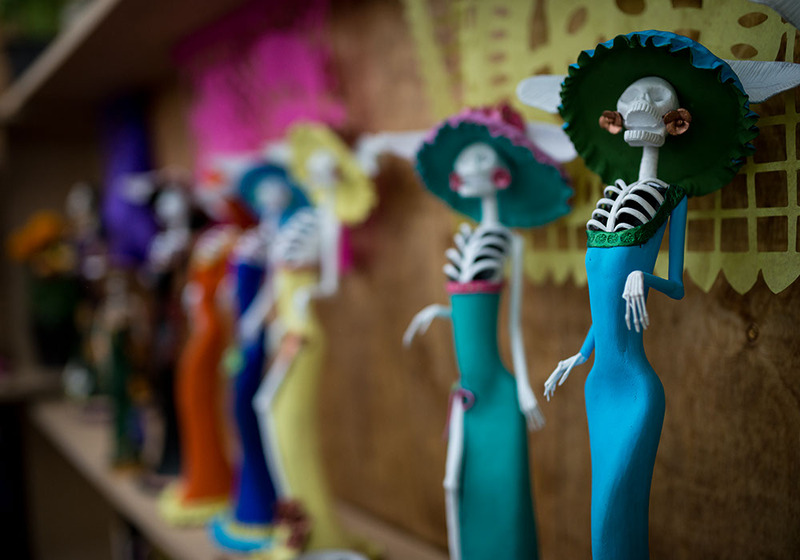 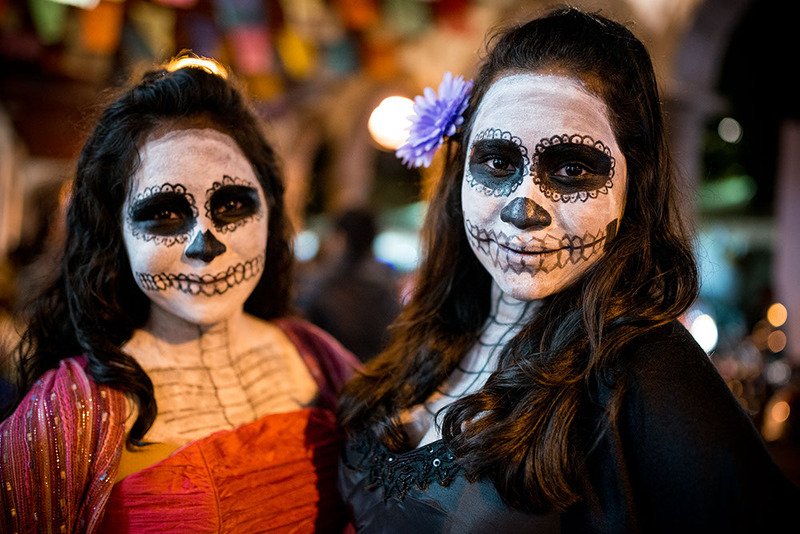 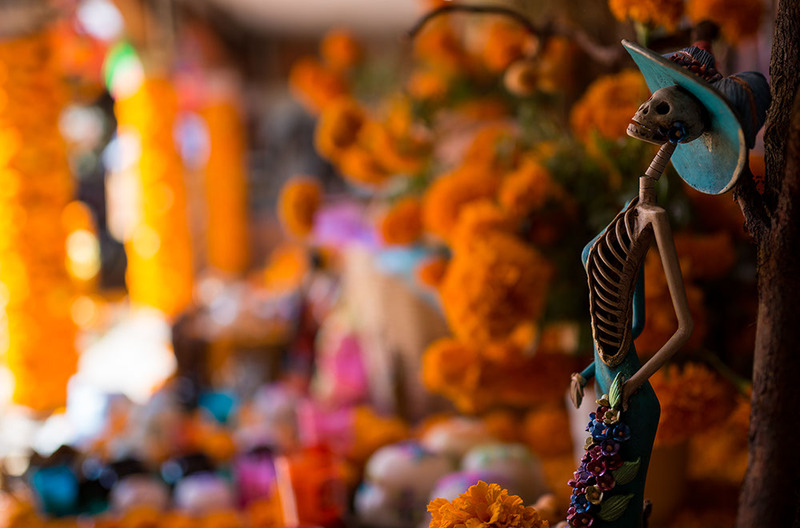 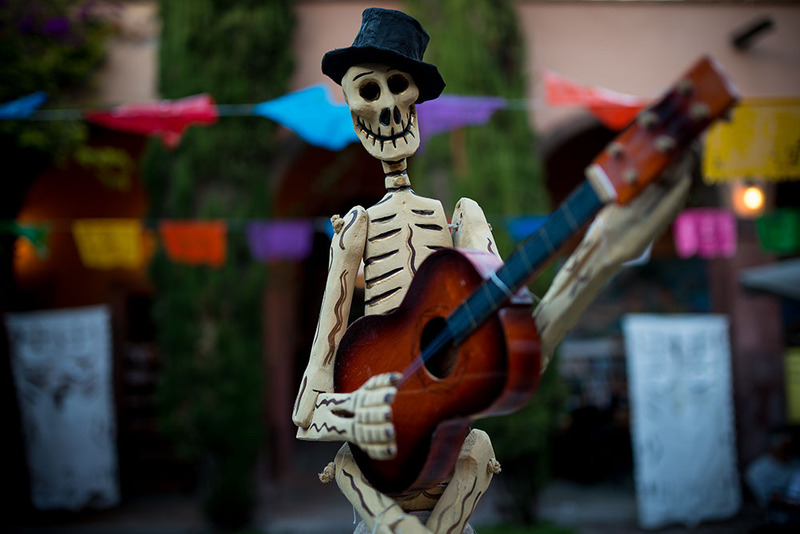 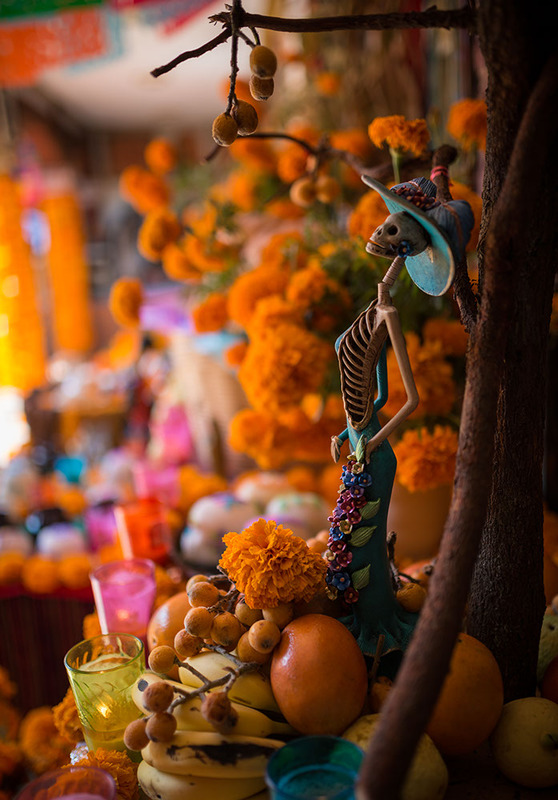 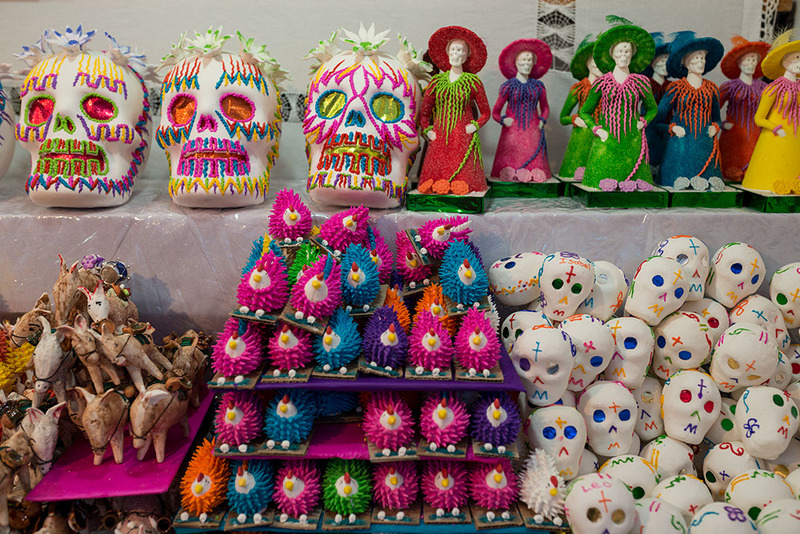 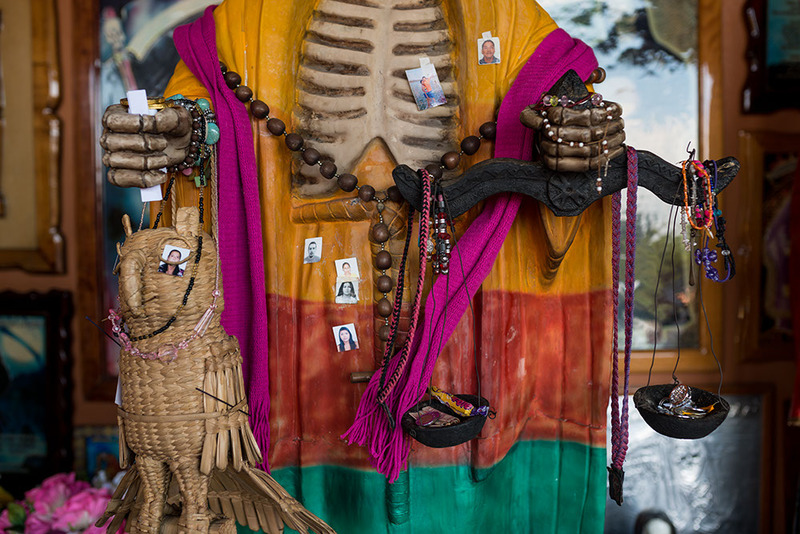 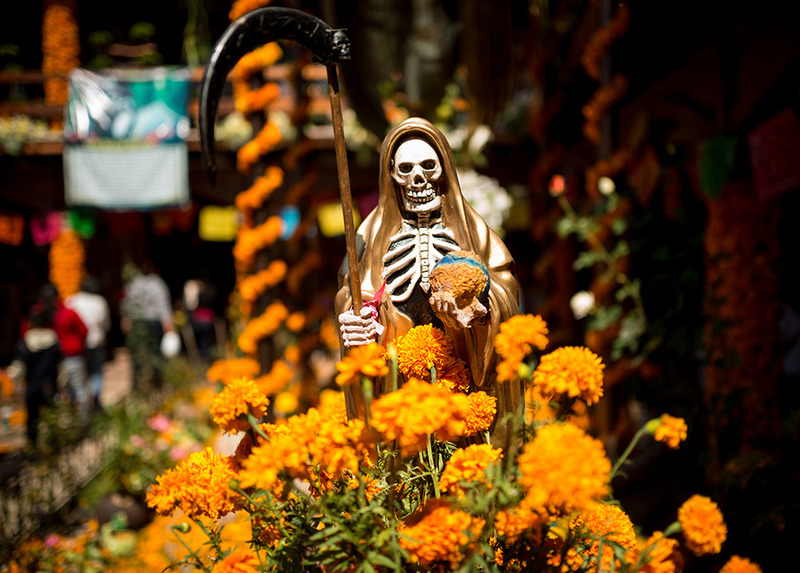 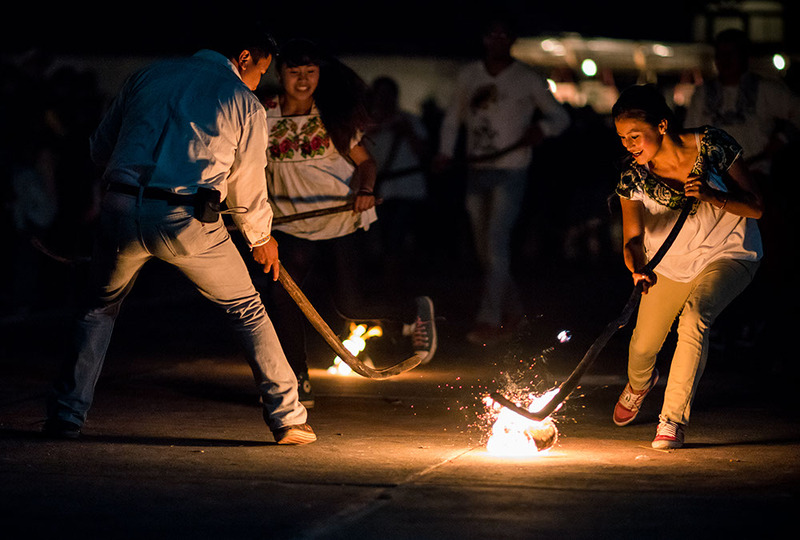 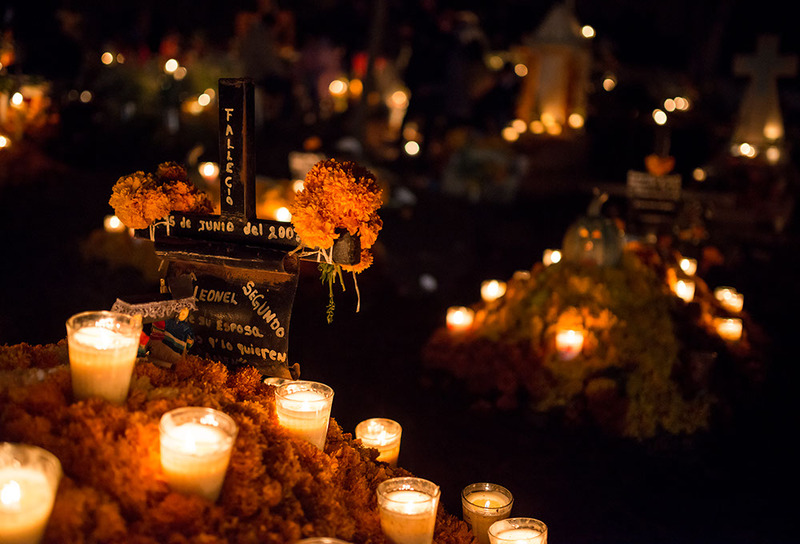 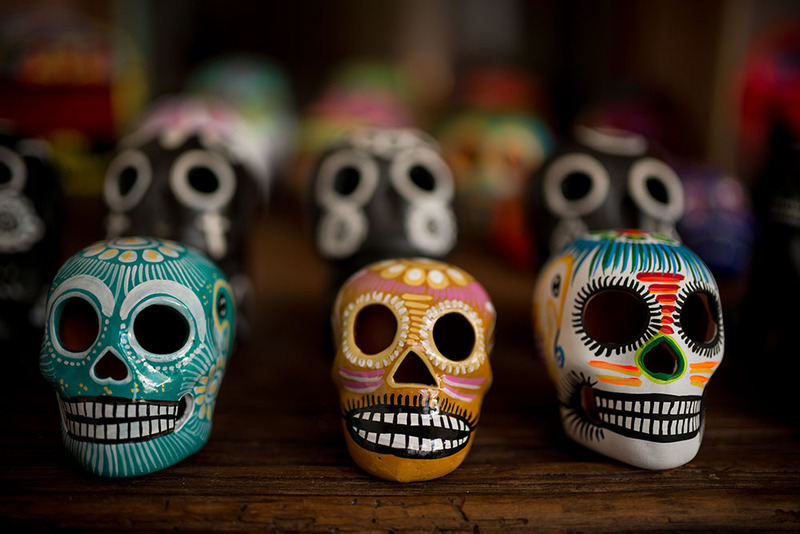 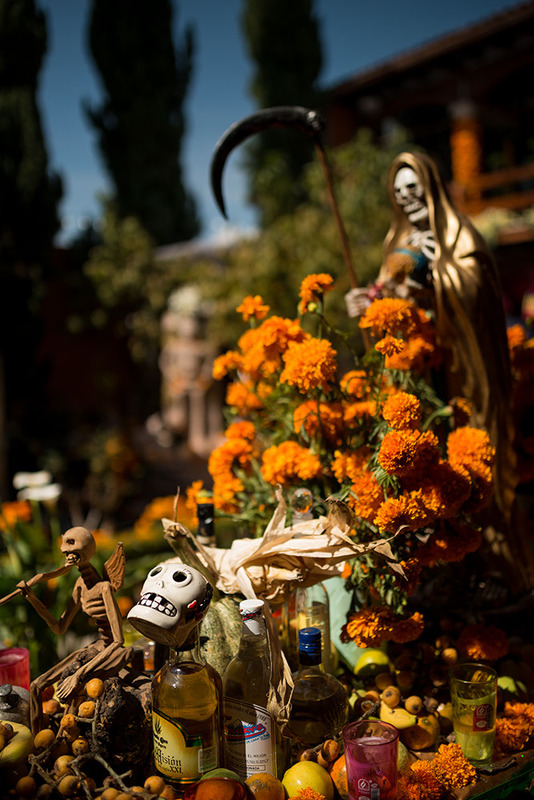 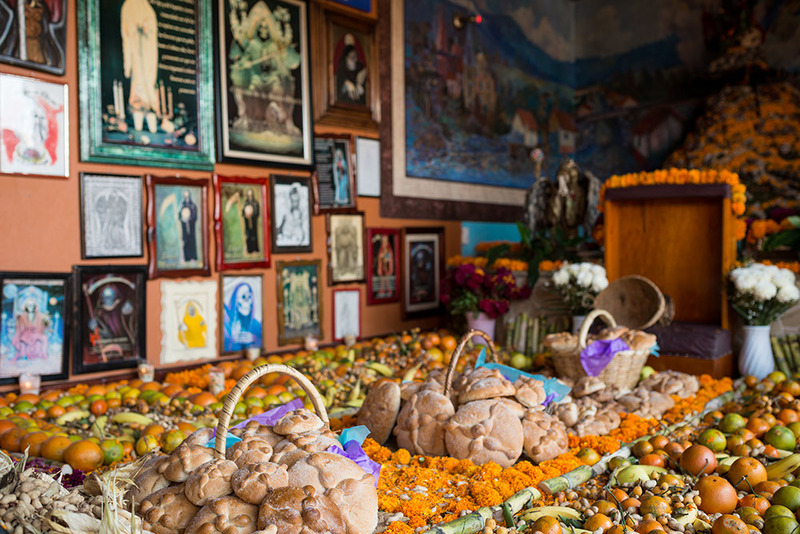 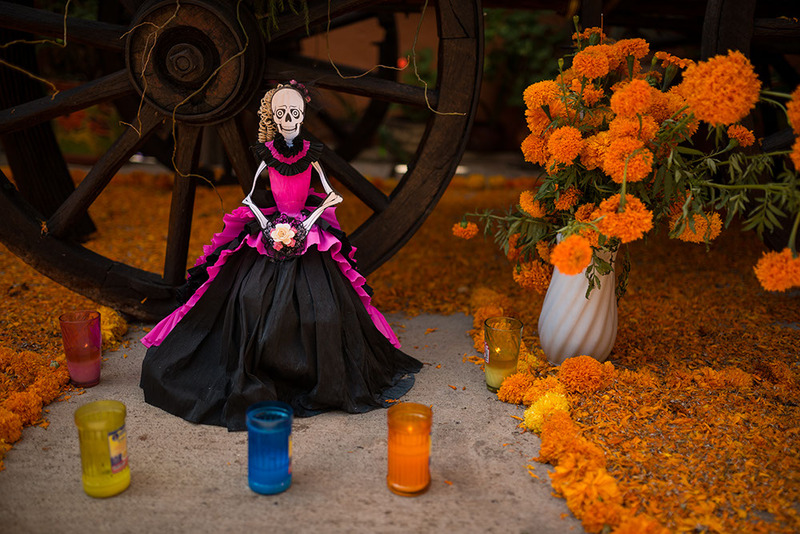 Held every year on the 1st of November, Dia de los Muertos is a time for families and friends to come together and remember the dead. 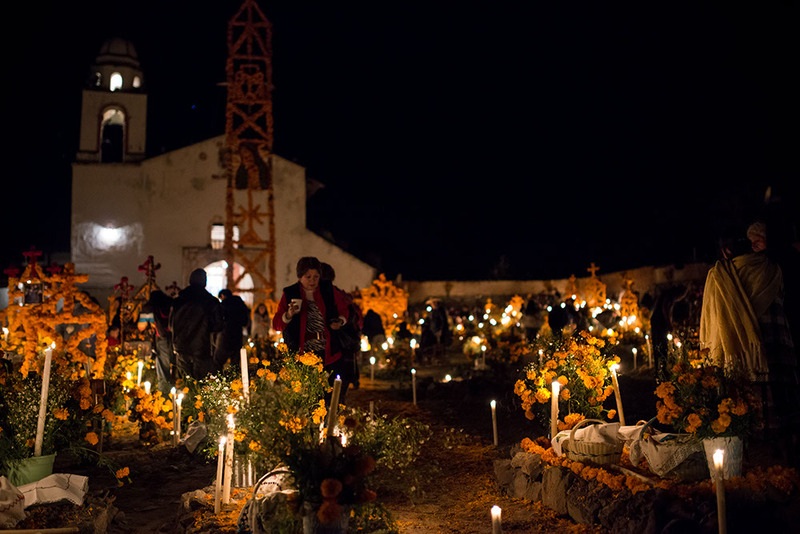 We hired a guide to take out during the night and visit the graveyards where families gathered for graveside vigils. 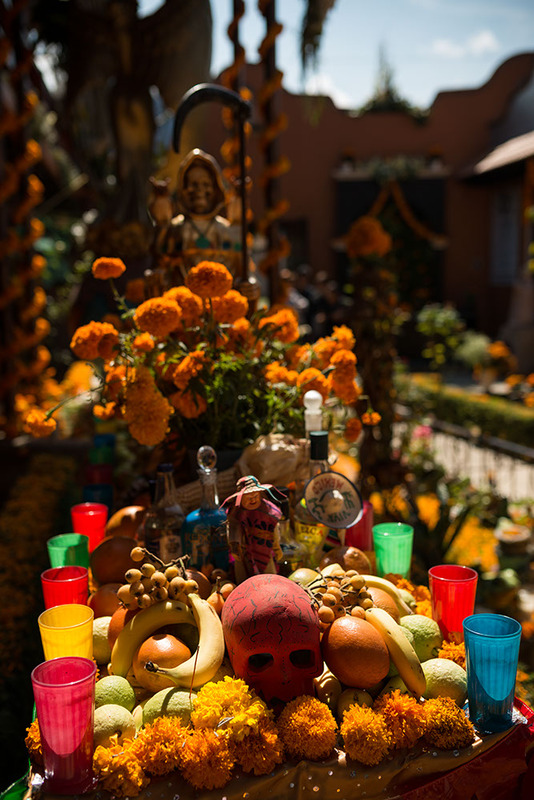 I felt a little uncomfortable poking a camera into peoples faces but it was fascinating to see, most of the pictures below are of the Dia de los Muertos paraphernalia I came across during the trip, its a topic I’d like to revisit again sometime, perhaps concentrating on portraits of the younger generation all dressed up.